Hello everyone!! I hope you're enjoying this lovely snow weather here on the east coast. Here in snowy filled Pennsylvanian, roads are covered, the snow is mounting and outside looks like a life size snow globe. I find days like this to be quite magical. In light of the snow, the millions of falling snowflakes, and my new love for glitter, I created this nail swatch. 4. Seche Vite top coat. I must say I am very pleased with the gorgeous nail polish! 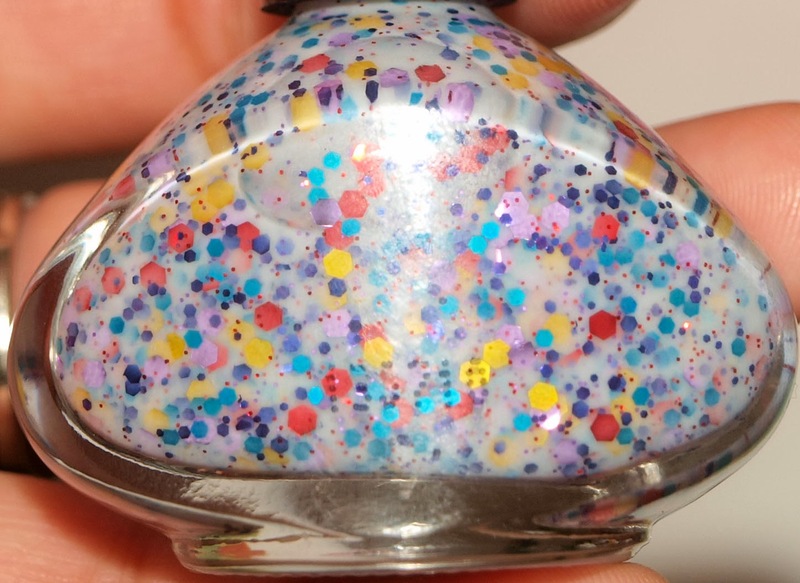 The polish itself has a whitish purple base, filled with an assortment of glitter shapes and sizes. If you like glitters and are ready to try something unique, GET THIS POLISH!!!! I find myself staring at my hands and think of snowflakes and sparkly things. When i first saw this polish somewhere online, I knew it was going to be mine someday very soon. (He He) So my research began, with me spending hours scouring the internet in hopes to find it at a good price. I found out that the only store that carries the brand Funky Fingers nail polish is Five Below and this store does not sell their things online. You must go to one of their retail locations to purchase from them. Well, the only Five Below Store close to me is like an hour away. So you know i wasn't going to trek that journey anytime soon. I settled for the next best thing (don't know why i didn't think of this sooner) EBAY! If you have been following my posts, you can tell how much i HEART Ebay. And guess what??? 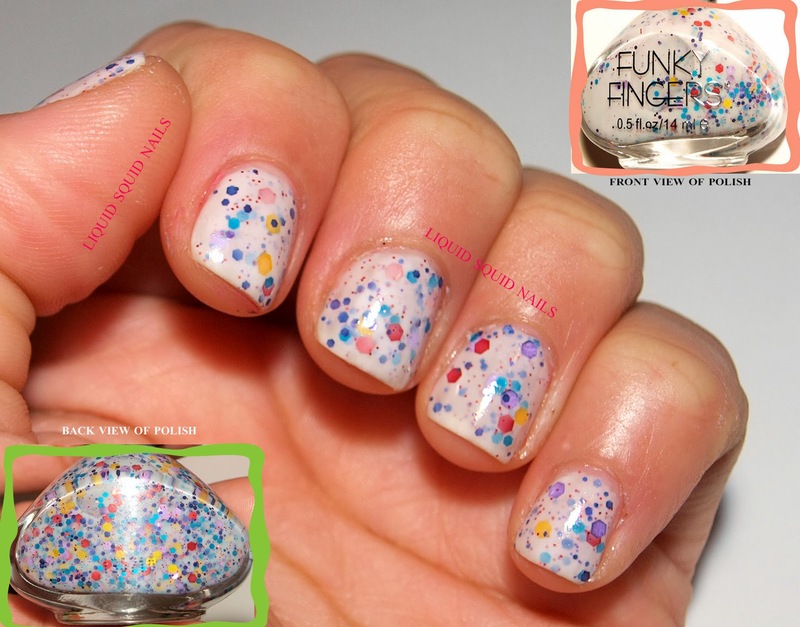 I found the Funky Fingers nail polish in "jawbreaker" (the one you see in the pics) on my trusty Ebay. If you're interested in purchasing this polish, I recommend one of the MOST AMAZING AND THOUGHTFUL Ebay sellers I have ever come across. 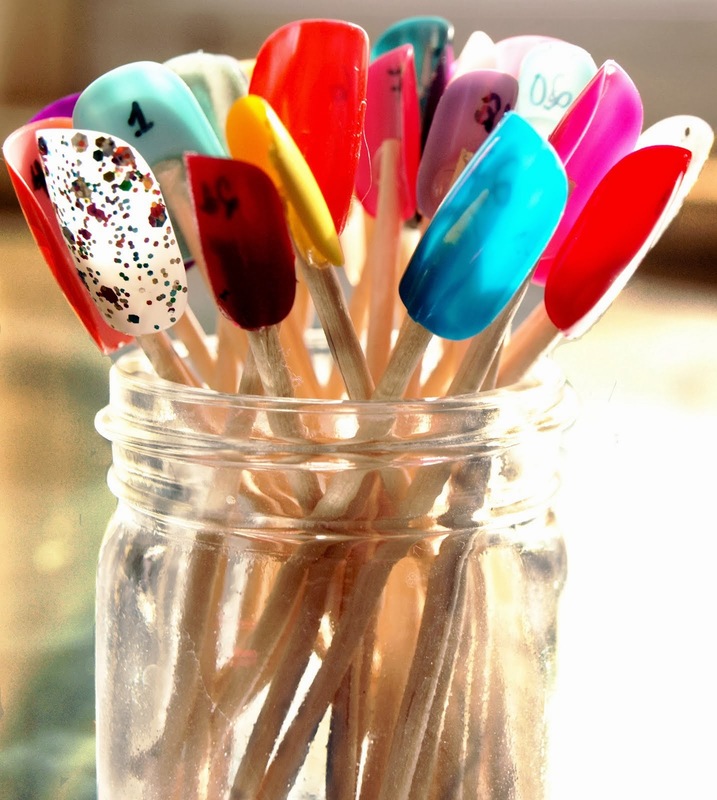 Here name is Tara and she sells FABULOUS polishes at affordable prices. Hope you enjoyed this post. PLEASE, let me know what you think, if you visit Tara's store and any other things that pop into your head.